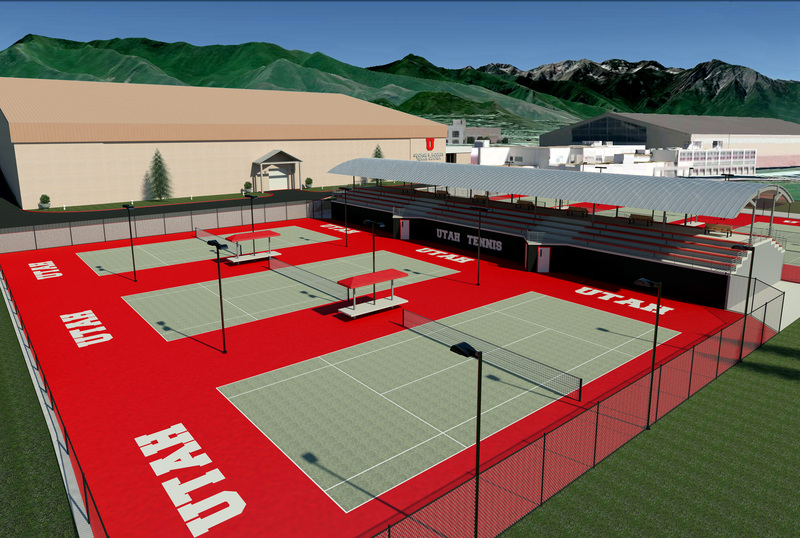 SALT LAKE CITY,UT – The University of Utah announced its plans today to build six outdoor tennis courts with elevated seating for spectators, directly west of the indoor George S. Eccles Tennis Center, with an estimated value of $2 million. “The addition of a new outdoor tennis stadium is a big step forward for our program,” said head men’s tennis coach FD Robbins. “In order for us to be competitive in the Pac-12 Conference we need to have a facility that is Pac-12 worthy,” coach Robbins continued. The new outdoor tennis center will feature lights, electronic scoreboards and a web based video streaming capacity allowing for fans from all over the world to watch Utah Tennis live online. A seating capacity has not yet been announced. Included in the project are updates to the current 1500-seat capacity indoor Eccles Tennis Center. Those upgrades include enhanced locker rooms for varsity athletes and an improved team Hall of Fame and Recognition Area to celebrate the rich history of Utah Tennis. First serve is expected in the fall of 2013.